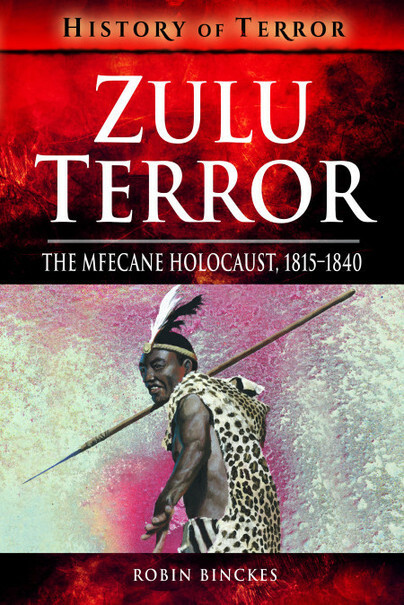 You'll be £10.39 closer to your next £10.00 credit when you purchase Zulu Terror. What's this? When the wagons of the Voortrekkers – the Boers, those hardy descendants of the Dutch – moved into the southern African interior in 1836, on the Great Trek, their epic journey to escape British control at the Cape, the wheels of their wagons crunched over carpets of skeletons of those slain in the Mfecane. The years 1815 to 1840 were probably the most devastating and violent period of South Africa’s turbulent history. The Mfecane (Zulu) or Difaqane (Sotho) was a result of many factors including internecine conflict among the Zulu tribes themselves. Faced with the wrath of the great King Shaka, Mzilikazi (The Road) fled with his followers, who became the Matabele, cutting a swathe of destruction, pillage and genocide across southern Africa from the land of the Zulu (KwaZulu-Natal today) to the Highveld in the north. New alliances and allegiances were forged as refugees fled from the path of the rampaging Mzilikazi, leading to the creation of new nations and alliances between the arriving Voortrekkers and the enemies of the Matabele. Finally defeated in 1836 by the Voortrekkers in a nine-day battle, Mzilikazi crossed the Limpopo River and founded the kingdom of the Matabele in what is now Zimbabwe. Robin Binckes was born in 1941 in the Eastern Cape, South Africa. Educated at Umtata in the Transkei, he enjoyed a business career that spanned Public Relations, sports promotion, travel and tourism and food retailing. He has written several historical books on South Africa, including the bestselling The Great Trek – Escape from British Rule: The Boer Exodus from the Cape Colony, 1836. He has recently started writing for several Pen & Sword military history series including ‘A History of Terror’. Inspired by the late David Rattray, he currently works in Johannesburg as a tour guide with his own company, Spear of the Nation, specializing in oratory story-telling.